Murtagh’s Practice Tips is the trusted resource that provides tips for GPs and other medical practitioners drawn from John Murtagh’s extensive experience in practice. 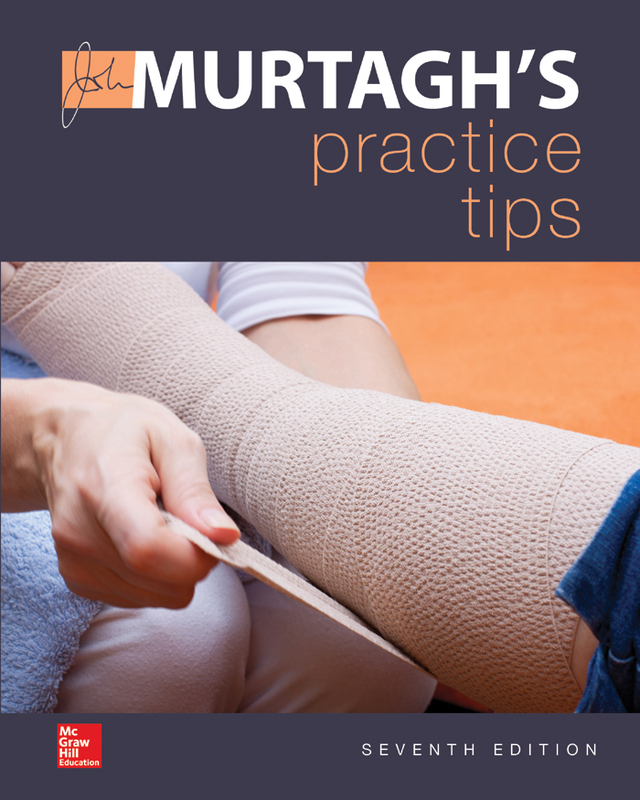 It is the essential guide for tried-and-tested approaches to treatment and improvisation methods, using convenient tools and readily available equipment to treat patients as effectively as possible. eustachian tube dsyfunction and glue ear. Written with the busy practitioner in mind, this latest edition describes techniques using common terminology to suit practitioners at all levels of experience. More than 450 detailed illustrations, including some new and revised, supplement the text.